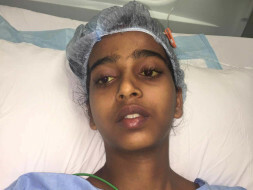 15 year-old Anjali is diagnosed with acute liver failure and is in the ICU. She needs to undergo an urgent life saving liver transplantation. 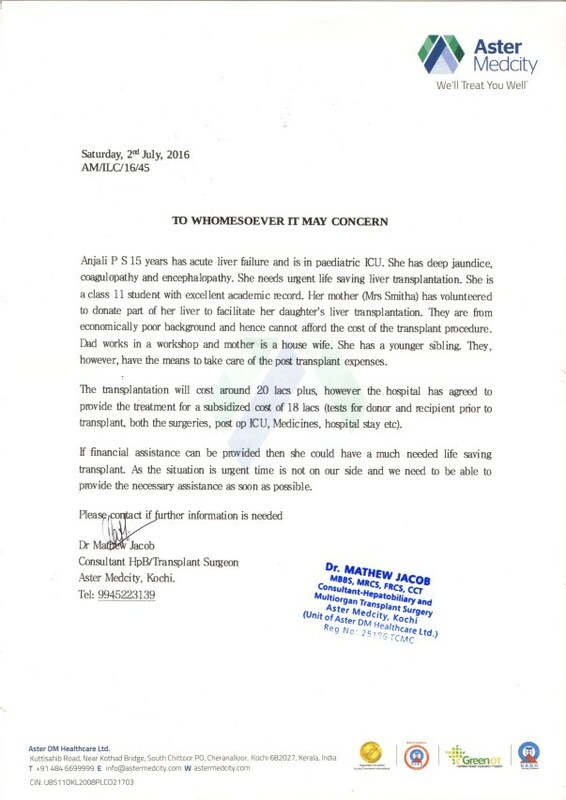 Her mother, Smitha, has volunteered to be the donor and will donate a portion of her liver to save Anjali. Smitha is a home maker and Anjali's father works in a workshop as a mechanic. Anjali has an younger sibling. The family is from an underprivileged background and cannot afford the cost of the transplantation procedure. Anjali is in class 11 and has an with excellent academic record. She has a bright future and can continue her studies if she recovers well. Anjali is now admitted to Aster Medcity Hospital, Kochi. The estimation for the liver transplantation is Rs. 18 lakhs and this is a huge amount for the family to arrange in such a short time. 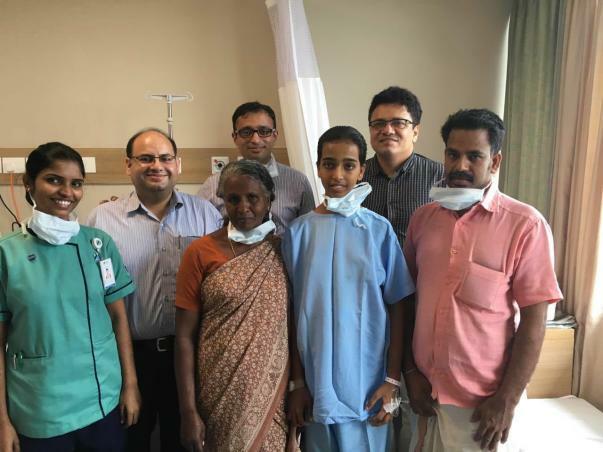 The family and hospital has managed to mobilize Rs 9 Lakhs and is hoping to raise the remaining before the surgery which is expected to happen anytime in the next couple of days. "Anjali has developed acute (also called fulminant) liver failure. This usually happens because of presumed viral infections and is more common during the monsoon. Children with acute live failure have multiple other system problems like mental confusion, brain swelling, kidney failure because of sudden toxin build up. Unlike kidney failure, we do not have effective dialysis machines for liver so the only treatment is a timely transplant. It is exactly as bad as it sounds - there is a risk of mortality if we miss our transplant window, which may be as small as 24-48 hours." The family is doing everything they could to arrange funds for the transplantation but they are unable to raise the whole amount. Time is running out as Anjali is waiting for her transplant. Your support will ensure Anjali can undergo the transplant as scheduled and she can be back home fully recovered. It gives us immense pleasure in informing you all that Anjali is currently doing well. She has been coming for checkups regularly. Her last checkup was scheduled for last week and she showed improvements in her health. Also, she is active now and is on medication. She is likely to be on medication till the time the doctors advise otherwise. We are all grateful to you. Thank you everyone once again! Anjali is recovering really well. She is shifted to the ward and has started walking. We have planned her discharge on Monday . Her mother who was the donor is recovering as well. It's amazing to see the support she received within 24 hours of starting this campaign. 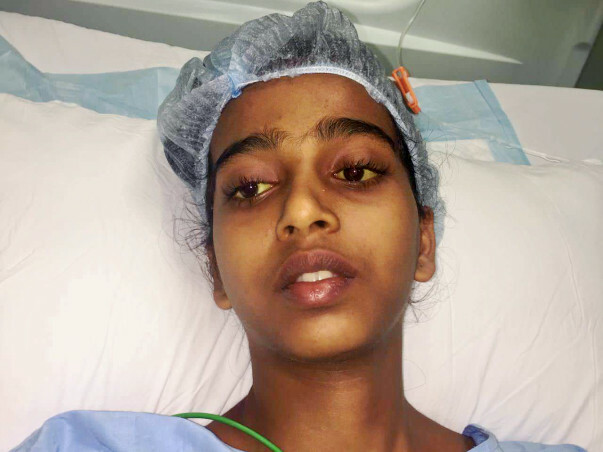 As a doctor, I am overwhelmed to see donors like you coming together to help Anjali. It's your timely support that helped her undergo the transplant as planned. Here's Anjali with the team of doctors, her father, and grandmother. 5 years ago, when I came to India from the United Kingdom, my thoughts were around bringing affordable liver care to patients in India especially to children. Every year nearly 100 children die because their families are unable to afford a liver transplant. But thanks to donors like you and generous sponsors like The Pravin Agarwal Fund, that we are able to bring hospitals onboard to provide affordable liver care to children like Anjali, who benefited from this initiative. We will continue to update you on Anjali's progress. We aim to conduct liver transplants for 10 children this year through this initiative, where every rupee from donors like you will be matched and 100% of your donation will go towards the child's treatment. Her transplant has been scheduled for next week. We seek your help in sharing this campaign so more of your friends will come forward to support. You can reach out to me for any queries by replying to this email. Here's an update from Anjali's doctor. Anjali is off the ventilator. She is conscious and alert. Her new liver is working fine and she is taking in liquids. Anjali's mother who was the donor is recovering as well. It's very overwhelming to see the support Anjali received. Within 24 hours, funds were raised and now she is recovering well. A big thank you to the supporters from all of us here and Anjali's parents.